Registration NOW OPEN – 2018 Preview! Shanghai. DOMOTEX asia/CHINAFLOOR – the annual hub for Asia-Pacific flooring professionals now welcomes visitors to register for the 2018 edition, March 20th – 22nd. This year marks the 20th anniversary of the event’s fruitful campaign and to celebrate, 100+ pre-registered visitors will be granted signature VIP access and receive invitations to concurrent conferences and festivities during the show. To register, guests can visit domotexasiachinafloor.com. The InnovAction Flooring Campaign empowers Carpet, Wood, and Resilient flooring enterprises to launch new products within custom showcases. These flagship pavilions are designed by Kostas Chatzigiannis and his team at KCArchitecture Ltd. Companies looking for an ideal platform to introduce their products in the industry will have the opportunity to reach an audience of 55,000+ at the upcoming show. In the next few years, the Asian-Pacific region will host some of the most important sporting events in the world. The 2018 Asian Games in Indonesia, 2018 Winter Olympics in South Korea, and the 2020 Summer Olympics in Japan will all require heavy investment from the region to construct new, state of the art sporting facilities. DOMOTEX asia/CHINAFLOOR 2018 is following suit and organizing experience zones for companies specializing in sport flooring. The sport flooring area will host a Badminton Tournament on a 200sqm pitch of artificial sports turf, organize a Snow + Ice Experience Zone, and open the China Green Campus Construction Forum to visitors interested in discussing the future of “Green, eco-friendly” surfaces with municipal governments, sports bureaus, and school associations. VIPs and invited guests can visit Luxury Brands, a distinct display area presenting 15 renowned carpet design firms who indulge visitors with a variety of new, extravagant products. Luxury Brands is co-organized and sponsored by COVER Magazine, a key partner of DOMOTEX asia/CHINAFLOOR. DOMOTEX asia/CHINAFLOOR increased their international attendance by almost 20%, from which, the top 5 visiting countries outside of China ranked: South Korea, Japan, the United States, India, and Australia. “I expect our 2018 global visitor registration and attendance to exceed last year’s results” states Mr. Shine Liu, Project Director of VNU Exhibitions. 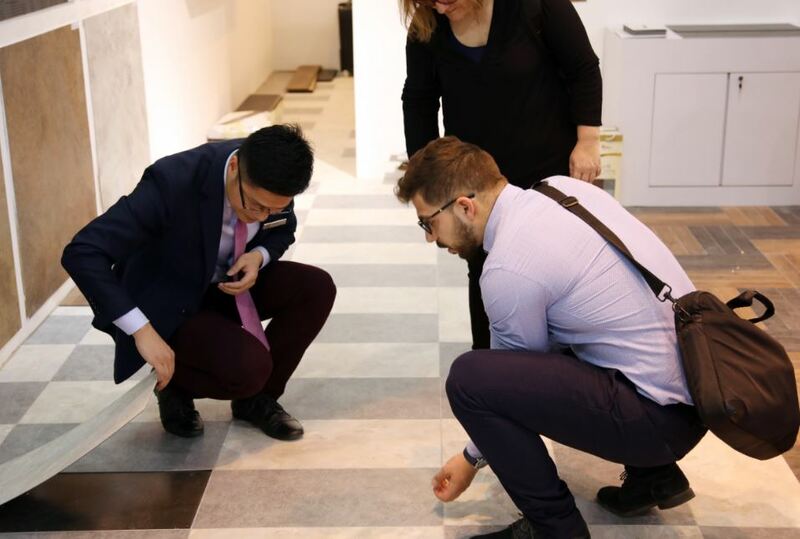 “The event continues to be the industry’s key meeting point in Asia and the international flooring community is noticing. Since last year, we signed on new international pavilions (Croatia & Iran) and hope to organize more country marquee’s to join the ranks of Canada, Germany, Switzerland, the UK, USA, and Italy”.